It’s that time of year that you’ve been hotly anticipating, ladies and gentlemen! Oh, no, we’re not talking about spring. We mean the end of the fiscal year, which means automakers are announcing their 12-month financial results and laying out their new plans and future projections! Somebody cue up “Get Ready for This!” Sure, it might not be the most exciting event of the year, but Nissan has more than a few reasons to be jacked about the end of the 2013 fiscal year. To be more specific, they have about $3.88 billion reasons to be excited. President and CEO Carlos Ghosn announced today that Nissan is just absolutely crushing it right now (our words, not his). Not only did Nissan post a quarterly (January-March) profit of $1.1 billion, but it also announced that is profit for the 2013 fiscal year was $3.88 billion. Ghosn also announced that Nissan plans to grow that number four percent in the next fiscal year, anticipating a net income of $4.05 billion. Solid. Oh, you know, we generated more income than a number of small countries in 2013, but still, we have a lot of work to do in 2014. Carlos Ghosn is basically the equivalent of the teacher who never gives students anything better than an A- because he believes students should never be content with their success. Nissan will now enter the second half of their six-year Power 88 plan, which focuses on capturing an 8 percent global market share and operating with a corporate profit margin of 8 percent while expanding the V-platform, expanding the global brand, and standing out as an emission-free leader. Nissan anticipates having a 6.7 percent market share by the end of the 2014 fiscal year. 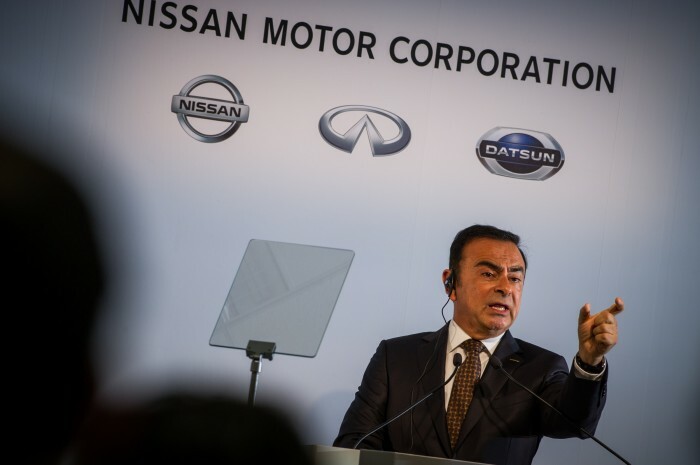 Ghosn’s thoughts on the brand’s progress thus far? “Satisfactory.” Sounds like somebody has a case of the Mondays.